Deepening your yoga practice and supporting others on the journey by becoming a Yoga Teacher, can be one of the best ways to give back to yourself. The Teacher Training Program at Bonfire Yoga in Brisbane is a 7 month Part Time Certified Course, empowering you to be not only nourish your own yoga practice, but also be a Certified 250 hour Yoga Teacher. ♦Post Training support from the Teacher Training team. This is a unique program designed to move you beyond “teaching by repeating” and instead, help each participant to truly understand the “Why” of how to teach, sequence, and best support community through offering inspired yoga classes. “I had the pleasure of meeting Michelle around six years ago near the beginning of my yoga journey. I was attending classes for physical fitness, but also searching for some piece of mind. I was immediately drawn to Michelle’s classes due to the way they made me feel both physically and mentally. Michelle exudes a real calmness both inside and outside the room which really resonated with me. I felt safe due to Michelle’s gentle, loving nature, but she also helped me to push myself to places I did not know I could go. It was in Michelle’s yoga classes that I first realised that yoga could be so much more than an asana practice, it could be an entire way of being. In 2017, Michelle informed me that she was hosting a teacher training program. I could not think of anyone I would rather study and grow under, so I jumped at the opportunity. The training was spread out over six months, for 2 weekends a month on average. I loved this design as it greatly helped me to integrate my yoga training into my lifestyle and current routine. I was blown away at the efforts Michelle took to train and educate my fellow trainees and I. It was much more than just a yoga course; it was an experience I will never forget. We were given very detailed instruction on teaching both Vinyasa and Bikram styles of yoga. We also spent time learning and discussing the key foundations and principles of yoga philosophy, which I really enjoyed learning about. Throughout the training, Michelle shared many of her own personal experiences regarding her own yoga journey as well. I feel this created an environment in which we all were able to open up more to one another. Michelle’s training style was very encouraging, and we all felt safe to make mistakes and be our authentic selves. It was amazing to see how the fifteen of us grew over the five months, each on our own personal journeys. We learnt a fair bit about anatomy as it relates to yoga. This was facilitated by Merryn, an experienced massage therapist and Zen Thai Shiatsu facilitator. Approximately 5 or 6 experienced teachers also attended on the weekends to share their experiences and to help us to lean more of our dialogue. We spent a day with a nutrition expert that Michelle invited along and also touched on the business side of yoga. All of this extra support and guidance brought a beautiful energy to the training as well as invaluable knowledge. I found Michelle’s teaching style very relatable and easy to understand. We received a lot of knowledge that one cannot get from reading a book or manual. I was really helped to come out of my shell, and grow more confident in myself. I learnt a lot about myself and felt I become more comfortable being my authentic self. This was facilitated by Michelle’s loving, caring support throughout the training, which has continued even after it’s conclusion. Since then, Michelle has made the time to support all fifteen of us to host our first classes as yoga teachers at one of the Bonfire Studios. This support has been crucial for us to actually achieve our goal of becoming yoga teachers. “I did my 200 hour Bonfire Teacher Training with Michelle during the first half of 2018. After nearly six years as a yoga student, I wanted to go a bit deeper into my own practice, widen my horizon and also learn the skills to teach others to be able to pass on my passion for yoga. 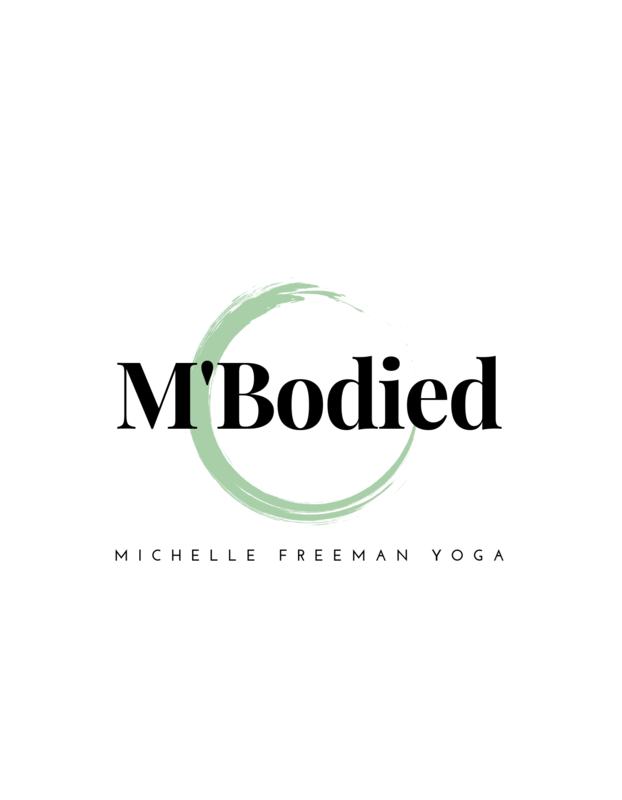 From the beginning, I knew that Michelle would be the perfect trainer as she has not only been teaching multiple styles of yoga to different types of students for years, but she also did her hot yoga training with Bikram. To apply for the teacher training was one of the best decisions I’ve ever made as it provided me with so much more than what I had hoped for as we immersed ourselves in different yoga related elements including yoga philosophy, anatomy taught in great detail, the eight limbs, the Yoga Sutras, chakras, and Sanskrit. Michelle was extremely knowledgable of everything she taught us-such a fountain of wisdom. I also liked our very detailed and thorough posture clinics and how other Bonfire teachers joined in to practise with us in small groups and provided feedback. To attend our fortnightly training weekends was always a highlight as we learnt so much more each time and grew together as a wonderful group of trainees who have supported each other greatly from the beginning until now. The end of the training took us to a three day retreat at the Sunshine Coast which was a time I will never forget. Several yoga sessions, one accompanied by the beautiful sounds played by very talented Adam Buchanan, super delicious and healthy meals prepared by our “Masterchefs”, Michelle and Sharon Pyle, evenings by the fireplace inside and the campfire under the stars, Zen Thai massages, time to chat, laugh, read, take a dip in the pool and last but not least our graduation ceremony…so many happy moments! We recommend you have a dedication to yoga and have a personal practice of at least 6 months before undertaking this training. Early Bird Rate $3999.00 includes all materials, an unlimited Bonfire yoga pass for the duration of the training, and three day yoga retreat all inclusive. Nonrefundable deposit of $500.00 reserves your spot. Payment plans available to work with your needs. Enquire about teacher training today!